Criteria: Anyone with a permanent disability resulting in loss of mobility is eligible. A statement of such a disability must be on file with the school nurse or designated personnel responsible for student health issues. All wheelchair athletes must propel their own manual wheelchair without assistance from anyone else. 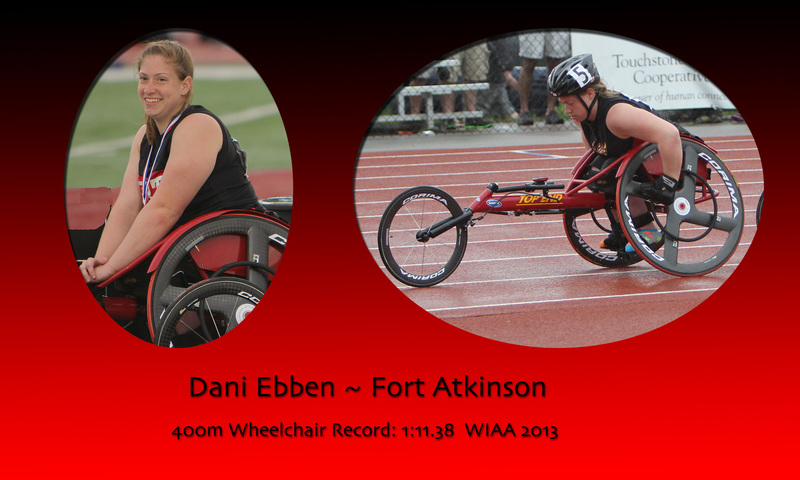 Equipment: Manual wheelchairs only for track events. May be specialized racing chairs or court chairs. All participants must wear a protective helmet. All participants must wear protective gear as prescribed by their physician. Shoes are not required. A throwing chair, maximum of 75 cm high, is allowed for shot put competition. Both boys and girls will throw the 4k shot. Events: Traditional track events including the following events; 100, 400, 800, and 1600 meters. Field event; shot put. There is a maximum of 4 events, but no more than 3 track events may be contested in one single meet. 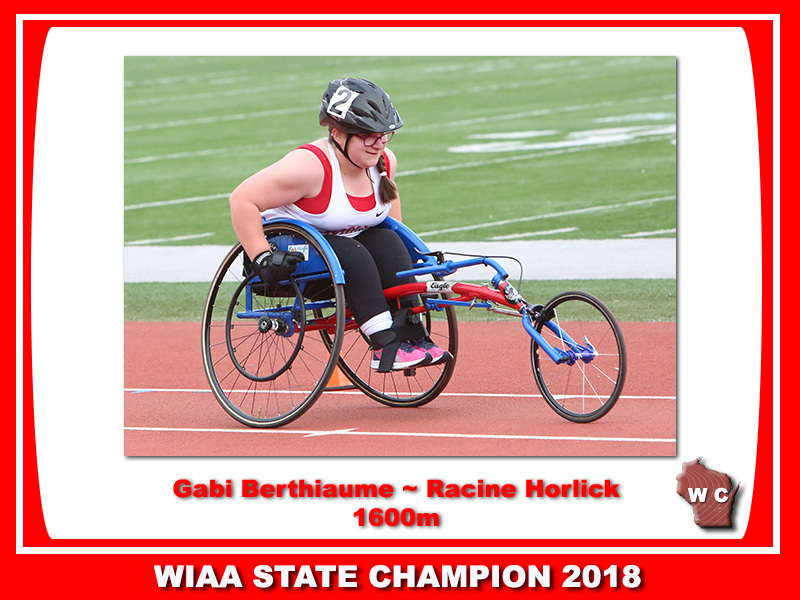 Rules Of Competition: Schools are expected to notify the host school (of the meet) 24 hours prior to the scheduled meet that they intend to have a wheeled athlete competing. 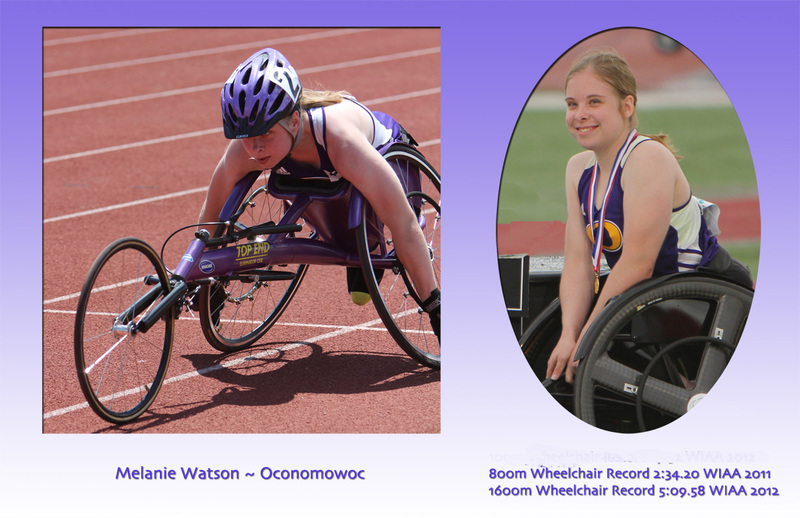 All wheeled athletes must compete in separate races from able-bodied athletes. All track events should be coed whenever possible. For 100 meter wheelchair races, one lane should be left open between athletes. For all other wheelchair races, the lane assignments and seeding procedures will be the same as the procedures for able-bodied races. Wheeled athletes competing in the shot put may be included with the able-bodied athletes but are considered exhibition. Propulsion and steering of the wheelchair must be with the hands and arms only. All wheels of the wheelchair must be completely behind the vertical plane of the starting line. Starting commands would be “Wheelers Set”, followed by the firing of the starting device. If an unsafe situation or mechanical failure should occur during a race, a competitor may be assisted back into his/her chair by a bystander in order to continue racing, if requested by the athlete. The finish is determined by the front wheels breaking the vertical plane of the finish line. For the shot put; the event chair must remain stationary during competition. The athlete may have an individual hold the chair during the throw to prevent excessive movement. Scoring: Regular Season: These events are considered “exhibition” only. No points will be awarded. 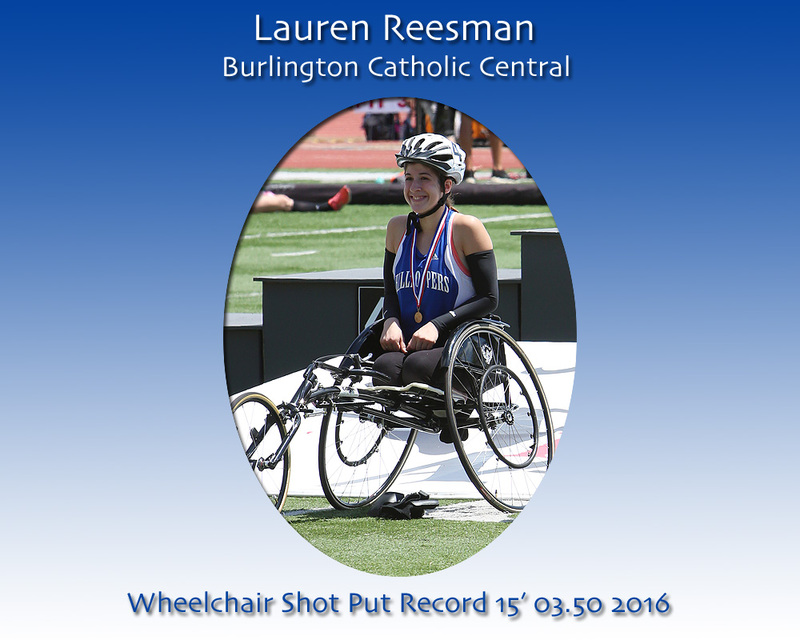 WIAA Tournament Series: Points awarded through sixth place at sectionals and state for separate wheelchair division. Events, when scored, are separate by gender. Safety: It is recommended that the athlete’s coach meet with the athlete and his/her parents prior to the start of the season to determine the current conditioning level of the athlete. Based upon this determination, the coach, with in-put from the athlete and parents should determine appropriate workouts for the athlete and when actual competition may begin. The school is responsible for providing the coach with all pertinent information necessary to develop a safe training and competition environment. 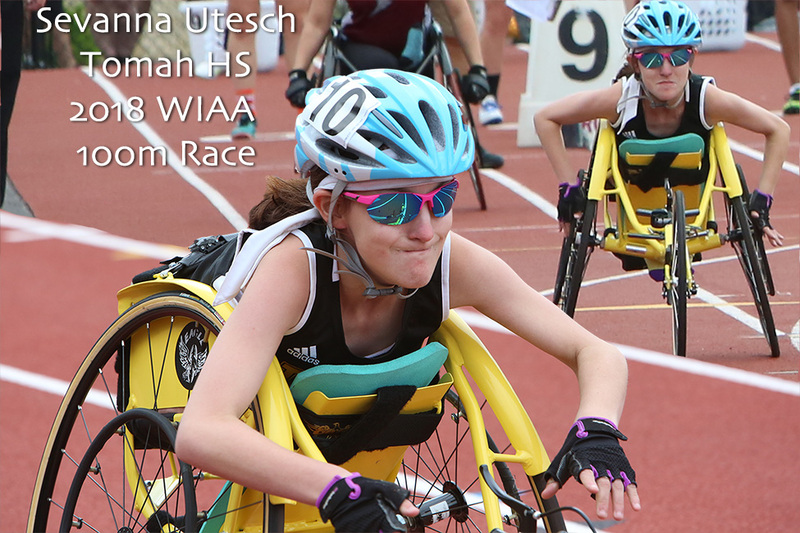 Officials: Licensed WIAA officials must be notified prior to the date of the meet that a wheelchair athlete will be competing and what events will be contested by that athlete. A copy of this document should be provided to the officials prior to the meet so that rules may be reviewed and if questions remain the official may contact the WIAA office.